Details have been released about what to do with a controversial wooden panel that was removed last year from the Dentzel Carousel at Ontario Beach Park. The panel has been criticized as being an example of racist art, sometimes called pickaninny art, that used to be part of the carousel. It depicts African American children with exaggerated features. 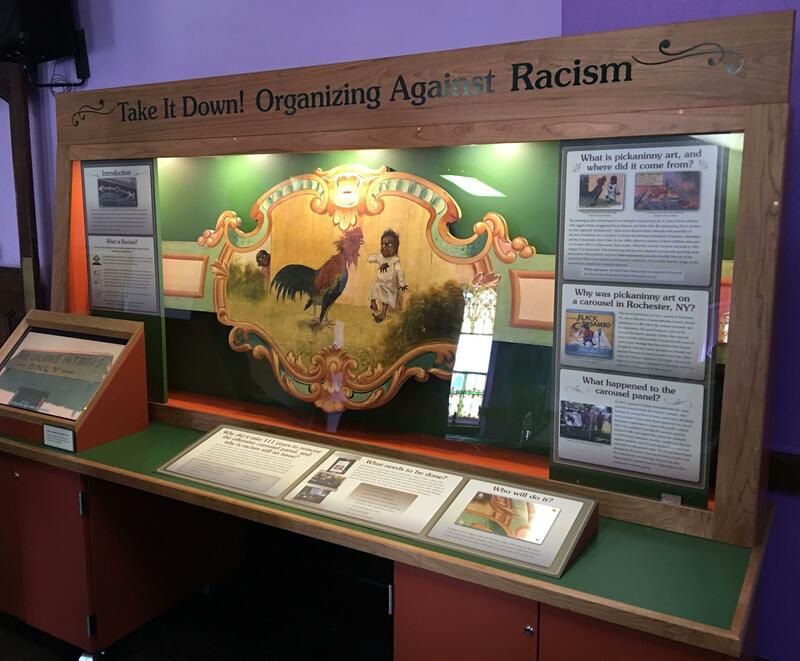 The Rochester Museum and Science Center has developed a multi-media display around the panel, explaining how it came to be developed and why it’s offensive. There is an agreement between the city and the RMSC to try and make this panel a teachable moment. The exhibit will travel around to various locations before eventually ending up at the museum. Mayor Lovely Warren says it’s important that this panel be displayed with historical context. The first stop for the exhibit is the Central Church of Christ on South Plymouth Avenue and Minister Clifford Florence says this exhibit should be part of an ongoing conversation in Rochester.